Last Saturday I was at the Pistol Ultra hanging out with people that do 30-100 miles. 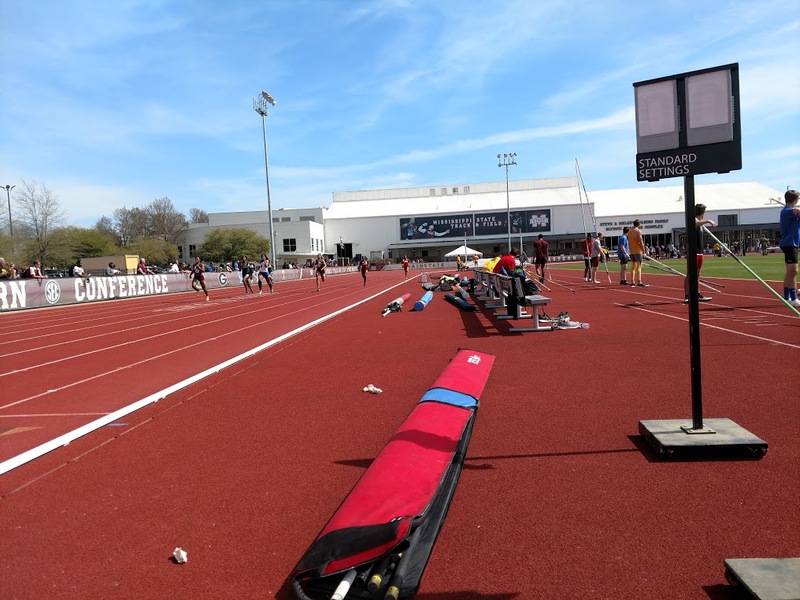 Today I was a volunteer at the Mississippi State Al Smidt Bulldog Relays track and field event. I got a free T-shirt! which I wore to show everyone I was an official person. We worked the pole-vault. My job was to talk to the next person vaulting. They would tell me a number between 45 and 80 and I would use this number board thingy to transmit that number to other people working the bar thingy (the “standard”). The number was the back-set of the bar from the pole hole place, in centimeters. So the people working the bar would adjust it to where the pointer said that number. And then the participant would do their thing. The women’s winner was MSU freshman Peyton Mickelson and, according to the on-line results,she broke the MSU record for that event! Third place was another MSU freshman. So there is going to be some good women’s pole vault at MSU for the next few years. The men’s winner was Michael Carr from Arkansas State and he was flirting in the area of the MSU record… but he doesn’t play for MSU. I don’t think there were any men from MSU in the pole vault. 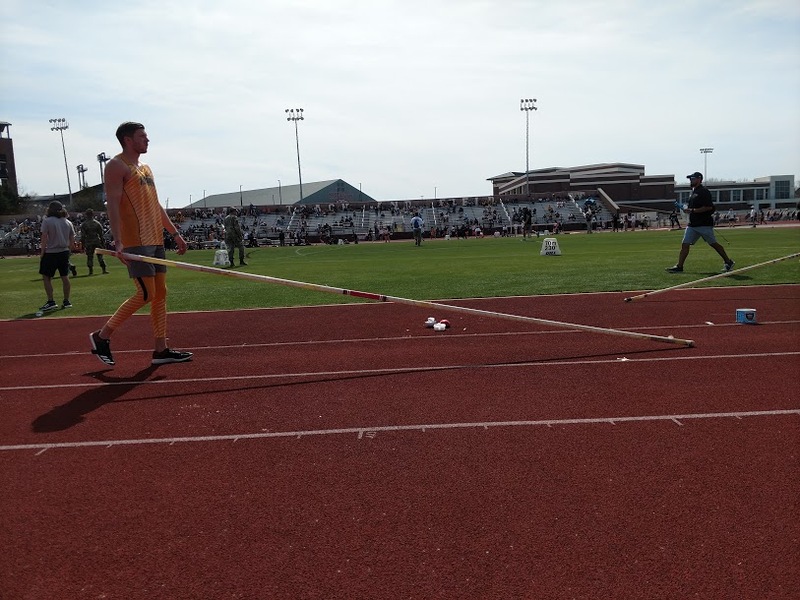 Pole vaulters don’t get a lot of attention. While they were doing their vaults we also had javelin, shot put, running races, a baseball game (with an airplane formation flying over during the national anthem at the next-door baseball field), a softball game next door, football practice and some sort of tennis. A track meet is kind of like a three ring circus. I think we were the last event to finish up. This is the second time in my life I have seen pole vaulting. A few years ago we went over to Birmingham and watched the NCAA indoor T&F championships and they had it there.